Seg strugles to find shelter and a communications device to call for help in getting him back home. He discovers a woman, Raika, who promises to bring him to safety if he frees her. She guides him to a value which bears a symbol that combines the crests of houses Zod and El. While Raika has fallen unconscious, the people that Seg meets are alarmed when they learn that Seg is an El and keep their weapons on him. Daron is enraged to learn that Nyssa has tried to help Lyta and thus exposed their plans to Jayna because Seg wanted her to, despite her claims to have done it to future their plans. In flashbacks, Jayna is revealed to have had to leave her brother for dead out in the freezing cold as part of her rigorous training to become a great military leader. In the present, Jayna signals to Nyssa that she will cooperate just as Lyta is about to be killed. Daron stays the execution by claiming that Kol-Da has recanted, while in secret viewers learn that he and Kol-Da are lovers. Lyta is shocked and overjoyed to learn that her mother saved her and while Jayna refrains from telling her the details, she says that she loves Lyta but Lyta has also brought dishonor to the House of Zod. In secret, Kol-Da is killed by unknown parties after the stayed execution of Lyta. Daron orders a full investigation into her death but in a private conversation with Nyssa it's revealed that he was the one that ordered her death as a sacrifice necessary to their larger plan. Seg learns that the people he has met are exiled believers of the ice goddess Cythonna, and they have guarded this sacred vault for generations. He is able to escape once more but his respirator begins to fail to the point of his oxygen level being completely depleted. He decides to use what's left of the batteries to power his comm device, which he uses to call Adam in the hopes that Lyta can find him. Ultimately, it is the Commander who finds Seg out in the snowstorm, very near death. He takes him back to the base and explains to Seg after he is well enough to talk that the vault is what holds the key to stopping Brainiac and saving Krypton. 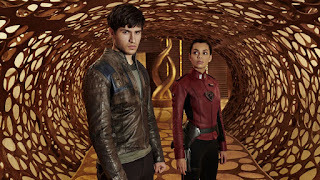 Adam and Lyta arrive in order to rescue Seg, after Seg played her a message in which he confessed his love for her (while the entire conversation was overheard by Nyssa). While Seg makes his escape with Adam, Lyta stays to fight the Commander alone. After they battle a bit, the Commander then reveals that he is actually her son, Dru-Zod. 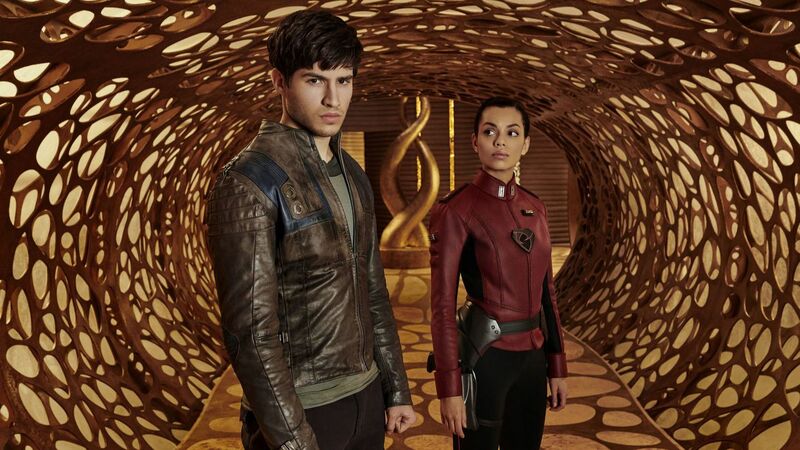 Krypton airs on Wednesdays on Syfy at 10/9c.